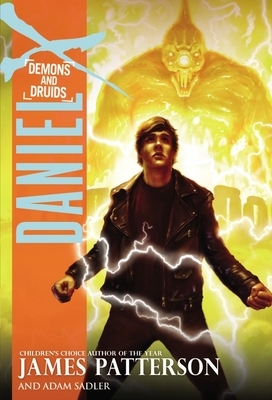 Using his incredible superpower to create objects out of thin air, Daniel X has taken on some of the most fearsome and fiendish aliens in the universe, and now he's aiming to extinguish his next target: the explosive demon of fir, Phosphorius Beta, and his army of flame-weaving henchmen. But it's going to take a whole new level of mojo to destroy this villain. Beta's strength has been growing since he arrived on Earth over a millennium ago, and he's finally ready to turn the blue planet into his own fiery wasteland. The only way to stop him is by jumping back in time to the Dark Ages to end Beta's blistering reign before it has a chance to begin. But can Daniel X take the heat? Or will the alien hunter finally get burned?